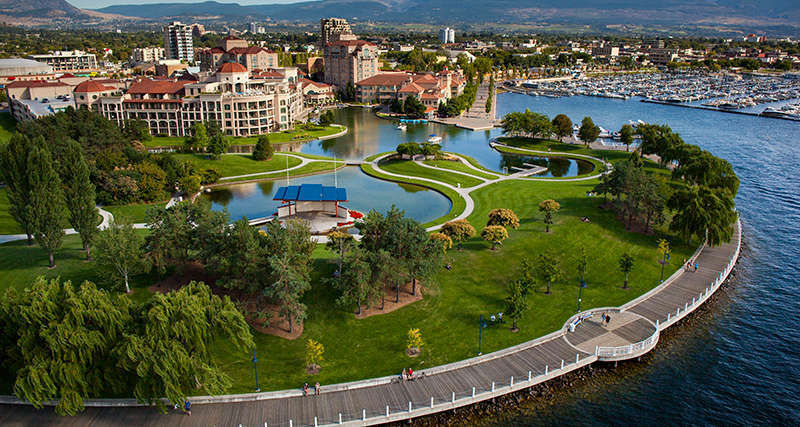 Held in Kelowna, British Columbia, Canada, the 18th Annual International Healthcare Summit is a forum that allows Canadian healthcare officials, senior policy makers, and the private sector to meet and discuss the ways in which government transforms the quality healthcare delivery arena to produce effective and efficient solutions. 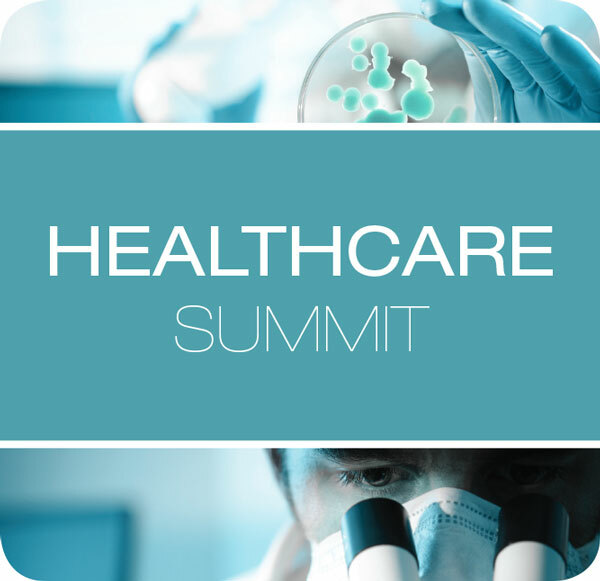 This summit brings together many of the best subject matter experts in the field to share case studies, cutting edge policy, programs, research and technologies aimed at successful collaboration within shared services and the healthcare industry. It also provides sponsoring companies the opportunity to showcase their newest products and latest innovations. *If you have attended before please inquire about our alumni rates (valid until March 30, 2018). Stay connected and engaged in the conversation leading up to and during the summit by following along on Twitter. Use the event hashtag to follow others who are already posting, and include it in your tweets to add to the existing discussions. The hashtag for this year’s summit is #HCS18 and our twitter handle is @Reboot_Comm. We would appreciate you sharing your voice with our other followers. Granger trained at the London Hospital Medical College (now the Royal London), in the East End of London, qualifying in 1970. Following a pre-registration year in Bath, UK, and before the current resident training system, he travelled to New Zealand to pursue further training in Obstetrics (gaining the Diploma of Obstetrics, University of Auckland), Otorhinolaryngology and Chest Medicine, then commenced General practice in the Waikato. He relocated in 1973 to Vancouver to train in anaesthesia at the Vancouver General Hospital. He subsequently elected to commence rural general practice in Port McNeill, to exercise all the skills gained, in 1974. At that time, there was neither a road through upper Vancouver Island, nor a hospital in town, so most admissions were made to Alert Bay, some eight miles across the ocean – necessitating many emergency and nighttime trips to hospital in his own boat. Recognising the need to look ‘upstream’ for his patients’ health, he opened eight remote clinics in First Nations’ communities and logging camps, accessed by boat or helicopter. Dissatisfied with the health care system’s response for his patients, he became actively involved with UBC Medical School, taking students and residents from 1980 and being appointed Clinical Professor in 2006; and with the BC Medical Association, rising to the President in 1997. He subsequently returned to advocacy for rural patients and physicians, commencing the Rural Joint Standing committee in 2001 and the Rural Coordination Centre of BC in 2005. His Canadian Medical Association work started in 1993, and he was elected President of CMA for the 2016/17 year. His work at CMA has been focussed upon Health Care system improvement with particular attention to collaboration between the five health care partners; the continuum of physician burnout, depression and suicide; generalism; and advanced practice models. He has received many awards and honours including Freeman of the Town of Port McNeill, the Doctors’ of BC Silver Medal and the Queen’s Diamond Jubilee medal. He maintains an abiding interest in First Nations health, rural health, generalism, team-based care, physician health and system improvement; and has been appointed as Special Advisor for System Improvement to the UBC Dean of Medicine. Married for 40 years, Winnie and Granger have three children and seven grandchildren, and continue to maintain their principle residence in Port McNeill. Dr. Turner Billingsley brings a unique combination of medical and technology expertise as well as thought leadership to the position of Chief Medical officer (CMO). In this role, he will be working with healthcare customers, assisting with ongoing development of healthcare technology offerings, and representing InterSystems in the healthcare IT sector. Before joining InterSystems in 2011, Billingsley led the Physician Executives Group at McKesson Provider Technologies, a division of McKesson Corporation. Billingsley practiced clinically for nearly 30 years including work as a flight surgeon with the U.S. Air Force and as an emergency Department (ED) physician at St. Vincent’s Medical Center in Jacksonville, FL., where he held leadership positions in quality assurance and risk management. He also is the co-founder of Xpress Technologies, where he served as CMO and participated in development of an ED documentation system. He received his MD from University of Mississippi School of Medicine and performed his residency in emergency medicine at University Hospital in Jacksonville, FL. Founder & Principal, FIRSTEP Innovations Inc.
Mr. Green has an international reputation and proven track record of transforming healthcare through the use of digital health. As President and Chief Executive Officer of Canada Health Infoway, he works with Infoway’s jurisdictional partners and other key stakeholders to accelerate the development and adoption of digital health in Canada, which will provide clinicians and patients with information they need to support safer care decisions and a more modern and sustainable health care system for all Canadians. Prior to his role at Infoway, Mr. Green was President and CEO, Americas Region with Agfa Healthcare Inc. In this capacity, he led the transformation of radiology from film to digital in many jurisdictions across Canada and globally, making him an early visionary in the way digital health solutions can help make public health systems more sustainable and improve the patient experience. Mr. Green has strong leadership and communications skills; he is a strategic thinker with a proven track record of bringing the best international research and innovation to Canada to advance the digital health agenda, create jobs and stimulate economic growth. Mr. Green has a diploma in Medical Laboratory Sciences from the London Metropolitan University and spent his early career working at King’s College Hospital in the UK. In 2012 he was awarded the Queen Elizabeth II Diamond Jubilee Medal in recognition of his contribution to the Canadian Health IT industry. He is a member of the ITAC (Information Technology of Canada) Health Board of Directors and served as Board Chair from 2009 – 2012. Dr. Alan Winter is British Columbia’s first Innovation Commissioner. Dr. Winter has wide experience at senior levels in the technology sector and in government, including such roles as the President and CEO of Genome BC from 2001 to 2016, the founding President and CEO of the New Media Innovation Centre in Vancouver, the President of the ComDev Space Group in Ontario, and the President and CEO of MPR Teltech Ltd. in Vancouver. During his tenure as CEO, six companies were spun out of MPR, including PMC-Sierra and Sierra Wireless. Alan Winter is currently a director of the Victoria Hospitals Foundation, Ontario Genomics and Geoscience BC, an adjunct professor at UVic’s Gustavson School of Business, and a member of UBC’s Research and Innovation Council. In 2007, Dr Winter received a Leadership Award from LifeSciences BC, and in 2017 he received the Don Rix Award for Lifetime Achievement. He has served as a director of over 30 organizations, including the Providence Healthcare Research Institute, BC Business Council, and Alberta Innovates. Dr. Winter is a Fellow of the Canadian Academy of Engineering (FCAE) and a Fellow of the American Association for the Advancement of Science (FAAAS). He is also a Fellow of the Canadian Astronautics and Space Institute (FCASI) and received their inaugural Alouette team Award. Dr. Winter received his Ph.D. from Queen’s University, Kingston and was recognized by the Queen’s alumni Legacy of Achievement. Ms. Anderson is an accomplished e-health strategist with more than 20 years of experience in healthcare informatics. Most recently, she was the Assistant Deputy Minister and CIO for the Health Information Technology and Systems Division at Alberta Health where she played a pivotal role in transforming Alberta’s healthcare system into one of the most digitally connected in North America. At the forefront of Alberta’s Electronic Health Record implementation, she helped steer the expansion of EHR data sources, deployment to users, integration for physicians and pharmacists, and introduced public access to EHRs. Ms. Anderson has also worked with private healthcare companies to reduce operating costs, has aided in Canada Health Infoway initiatives such as clinical end user engagement including development of peer-to-peer clinical user support networks for Canadian jurisdictions, and has furthered the adoption and innovation of e-health within clinical practices across the country. Corrie Barclay is the newly appointed Assistant Deputy Minister, Health Sector IMIT Division, Ministry of Health for the Province of BC. Corrie has significant experience with business transformation, creating a culture of innovation and driving a digital vision to achieve better business outcomes. Corrie’s health experience includes leading the first clinical deployments across the Province of BC for the Pan-Canadian public health surveillance solution. Before joining the public service, Corrie spent that last 3 years as the CIO at BC Assessment where she advanced the business vision for the company and led the creation and implementation of the digital strategy. Corrie holds a professional accounting designation with the Chartered Professional Accountants of BC. Dave Bennett leads the Build organization for DXC Technology’s Healthcare and Life Sciences business, which has supported the approval process for 15,000 pharma products and touches millions of lives every day as America’s leading provider of Medicaid process management services. Bennett has responsibility for the product management, architecture, development, solution consulting, and industry specialist communities. A technology entrepreneur for more than 20 years, Bennett joined DXC Technology from Orion Health, where he served as executive vice president for product and strategy, focusing on new models of medicine. During his seven-year tenure with Orion Health, Bennett built and ran the software company’s population health management business, leading healthcare integration, advanced analytics, real-time community care management solutions, and precision health partnerships. He also assisted with the firm’s IPO on the Australian and New Zealand exchanges. Before joining Orion Health, Bennett was a senior vice president at NantWorks, assisting Dr. Patrick Soon-Shiong with the company’s formation and new precision medicine models. In this role, he also spearheaded business development, mergers and acquisitions, population health, medical device integration, and clinical decision support. Previously, Bennett founded Cyclone Commerce, a business-to-business integration software firm acquired by Axway, Inc. nine years later. After the acquisition, Bennett served as Axway’s chief technology officer for more than five years. Bennett is currently a board member of the Grand Canyon University (GCU) President’s STEM (Science, Technology, Engineering and Mathematics) Advisory Board, whose charter is to align GCU programs with trends and evolving market needs to ensure graduates are workforce-ready. He is also a former board member of Axway; iSirona, LLC; Net.Orange, Inc.; MediSens, Inc.; and MIT Enterprise Forum Phoenix. Bennett holds a bachelor’s degree in computer science from DeVry University. He lives in Scottsdale, Arizona, with his wife and three children. With 24 years’ experience working in the healthcare industry, Michael has spent the last 20 years with Cerner Canada and has served in many key implementation and relationship roles. Michael has a keen grasp of the Canadian health care market. He understands clinical workflow and has an in depth understanding of Cerner’s technology. Strategic planning and business development are Michael’s strength’s. As the National Director for Population Health Michael currently manages strategic relationships, new business and market strategy for Canada. Prior to Cerner, Michael held several roles in as a Quality Control technologist specializing in all aspects of medical imaging quality and safety including breast imaging and new equipment set up and configuration. He was also a Quality Control Program Instructor for the Michener Institute where he created and delivered course content relating to radiation physics and imaging quality. Michael was also an independent consultant focusing on certifying breast imaging clinics for Ontario Breast Screening program. Dr. Eric Cadesky is a full-service family doctor in Vancouver, BC. He starts his term as President of Doctors of BC on June 2, 2018. He is a clinical assistant professor at the University of British Columbia and can be followed on Twitter @drcadesky. As Chief Information Officer, Akiko leads LifeLabs’ information technology and e-health strategies. Leveraging two decades of system engineering and information technology experience, Akiko is responsible for ensuring that LifeLabs is a recognized industry leader for our innovation and investment in technology. In addition to being a key member of LifeLabs’ Executive Leadership team, Akiko is also Chief Executive Officer of Excelleris Technologies Inc., a wholly owned subsidiary of LifeLabs. Prior to joining LifeLabs, Akiko spent eight years at Pacific Blue Cross, B.C.’s leading provider of private health insurance, where she was instrumental in designing and implementing one of the company’s largest organizational transformation programs. As a member of the IT senior leadership team, Akiko led Enterprise Architecture to transform legacy systems to state-of-the-art systems. Akiko also established the Innovation Centre to help IT drive technology-based innovation for increased customer satisfaction. Akiko holds a Bachelor of Arts (BA) in Linguistics from Keio University (Tokyo, Japan) and a Doctor of Philosophy (PhD) in Computing Science from Simon Fraser University. Dr. Pieter R. Cullis, PhD is a professor in the Department of Biochemistry and Molecular Biology at the University of British Columbia, co-founder and co-chair of the Personalized Medicine Initiative, and director of the NanoMedicines Research Group at UBC. He has co-founded numerous companies and organisations, including Lipex Biomembranes Inc., Arbutus Biopharma, Northern Lipids Inc. (now Evonik), Acuitas Therapeutics and Precision NanoSystems, and the Centre for Drug Research and Development, where he was Founding Scientific Director from 2004 – 2010. Cullis has contributed to fundamental advances in the generation, loading and targeting of lipid nanoparticle (LNP) systems for intravenous delivery of small molecule and macromolecular drugs. This work has contributed to three approved LNP products for the treatment of cancer and its complications and a fourth gene therapy drug to treat an hereditary condition that recently completed a most successful Phase 3 trial. He also works to influence the health care system to introduce personalized medicine based on molecular makeup of the individual and their disease. Cullis has received numerous awards. He was elected as a Fellow of the Royal Society of Canada in 2004 and received the Journal of Drug Targeting’s Lifetime Achievement Award in 2016. Dr. Martin Dawes is a world expert in primary care who combines research and clinical practice with over 30 years of experience. Following the completion of his PhD, he helped develop a Masters program in Evidence Based Health Care. He has directed the UK Centre for Evidence-Based Medicine in Oxford and was the head of family practice at McGill University and the University of British Columbia. Former Deputy CEO and Director of Pharmacy Practice, BC Pharmacy Association; President & Principal Consultant, Desson Consulting Ltd.
Derek Desrosiers is one of Canada’s foremost authorities on the economic and professional practice issues of pharmacy. He is a licensed pharmacist and most recently was the Director, Pharmacy Practice Support at the BC Pharmacy Association (BCPhA). Derek received his Bachelor of Science degree in Pharmacy from the University of British Columbia in 1982. He has 13 years of experience as a patient care community pharmacist, in a variety of pharmacies before transitioning to executive administrative roles within the profession. After leaving retail community pharmacy in 1995 Derek became the Director of Professional Services at the BCPhA and he held that position until he joined a uniPHARM Wholesale Drugs Ltd. (a pharmaceutical wholesale company) in the fall of 1999 in a similar role. Five years later, he became the Chief Executive Officer of uniPHARM and held that position until January 2013. In addition to his business development and management role as CEO, Derek was involved in developing and implementing programs and services for independent pharmacies that enhance the professional role of the pharmacist as a member of the health care delivery team. During his tenure as CEO, Derek led the company to achieve the designation of Canada’s Best Managed Companies for seven consecutive years. Derek takes his profession seriously, and has participated on many committees and boards of directors of both provincial and national pharmacy organizations. He has been a Director of the Board of the Canadian Pharmacists Association (CPhA). He was a Director on the Board of the BCPhA from 1990-1995, 2000-2006 and 2007-2013; and he has been President of the BCPhA for six different terms since 1991. Derek has also been a Director of the Board of the Canadian Association for Pharmacy Distribution Management (CAPDM) from 2006-2013 and was Chairman of that Board from 2008-2011. He just finished a term as President of the Canadian Foundation for Pharmacy. Echo Enns is a physician design lead for Alberta Health Services’ Connect Care Project. Connect Care is a transformative project; by implementing a common provincial clinical information system, Connect Care will enable consistent practices across Alberta and will improve patient and family care. Dr Enns practices as a family physician and hospitalist at the Peter Lougheed Hospital in Calgary. Dr. Enns has served in diverse leadership positions including Physician Lead of both the Peter Lougheed and the Foothills Medical Center hospitalist programs (first of their kind in Canada). She has lead several QI projects: medication reconciliation, optimization of discharge summaries, ward communications, inpatient glycemic control, reduction of restraint use, and reduction in anti-psychotic and benzodiazepine use in the elderly among others. Dr. Enns brings a deep understanding of front-line clinical work-flows and change management challenges to the Connect Care project team. Dr Teri Fisher is a Sport & Exercise Physician and Clinical Assistant Professor at the University of British Columbia. He is the Founder of Alexa in Canada, the leading Amazon Alexa resource for Canadians. He is an experienced speaker, consultant, educator, podcaster, and evangelist, who loves sharing his excitement and passion for voice-first technology. He is the host of the weekly “Alexa in Canada: The Voice Experience” Podcast (part of the VoiceFirst.FM network) and the daily “Voice in Canada” Flash Briefing, the #1 rated Amazon Alexa Briefing and News Skill in Canada, where he helps others to discover how voice-first technology is revolutionizing our lives. Dr. Fisher has a passion for ehealth innovation and particularly for the intersection between voice technology and healthcare. He has been a featured guest on voice-first podcasts and will be speaking at the Voice of Healthcare Summit at Harvard Medical School later this summer. When he’s not conversing with his Amazon Alexa devices, he is busy trying to keep up with his active wife and 2 children on the ice rink or baseball diamond. Dr. Robert Fraser is the President and CEO of Molecular You, a digital health company delivering molecular-level personalized health insights and action plans. Dr. Fraser has been at the forefront of developing the framework and technologies to bring personalized medicine into healthcare practice. He is the co-founder of The Personalized Medicine Initiative (PMI), GenXys Health Care Systems, Personalized Biomarkers Incorporated, Mesentech Corporation and Novobind. Dr. Fraser has led drug discovery and development projects at Sanofi, Xenon, Neuromed and CDRD and has been involved in raising of more than $37M in funding. He completed his Ph.D. in the molecular mechanisms of endocrinology at the University of Alberta and Harvard Medical School and Post-Doctoral Fellowships at Hospital for Sick Children, Toronto and IGBMC, Strasbourg France. Dr Kingsford is Chief Medical Information Officer and Executive Medical Director at Interior Health. He is a primary care physician with an Electronic Engineering PhD in artificial intelligence and extensive experience with software engineering, primarily in clinical informatics. His primary interests are in artificial intelligence, machine learning, interoperability, integrated care and workflow coordination. Provincially, Dr Kingsford sits on the IMIT Standing Committee, Health Informatics Standards Standing Committee, Health Authority Integration Steering Committee, Clinical Oversight Committee, EMR Working Group and the Joint Collaborative Committee IM/IT Clinical Advisory Working Group, and is co-chair of the Information Privacy and Security Standing Committee. He is also a member of Canada Health Infoway’s Digital Health Alliance Steering Committee. President & CEO, Tectonic Advisory Services Inc.
for a Canadian Enterprise at the 2018 Canadian Health Informatics Awards (CHIA) in Vancouver, Glenn brings 26 years of experience as a strategic advisor to more than 200 clients including providing leadership- in several domains including eHealth, Telehealth, mHealth, CyperSecurity, Blockchain, Genomics, innovation and procurement. Glenn has received several awards in the healthcare sector, recognized as one of the top healthcare IT leaders in North America focused on emerging and disruptive digital health solutions. Prior to joining Tectonic, Glenn provided leadership to organizations including the Government of Ontario, the Government of Canada, LifeLabs, TELUS, Allscripts, CLINICARE and GE. He serves on the Board of Directors of various organizations including ITAC Health, where he chairs the Procurement Task Force, as well as serving two consecutive terms with Digital Health Canada (formally COACH), Canada’s Health Informatics Association and is an instructor at the National Institute for Health Informatics (NIHI) as well as leading various working groups for HIMSS including the HIMSS Blockchain Working Group and the Ontario Hospital Association, and currently sits to the Board of HIMSS Ontario. He resides in Burlington, Ontario, Canada with his wife and four children. In January 2016, Dr. Catalina Lopez-Correa joined Genome BC as Vice President, Sector Development and CSO. With over 18 years of international experience in both the academic and private sectors, Dr. Lopez-Correa brings her deep understanding of genomics to the Genome BC leadership team. Dr. Low is a Manager, Reimbursement and Medical Affairs with Servier Canada, Clinical Associate Professor with the Faculty of Pharmaceutical Sciences at UBC, and an Instructor and Course Developer with the School of Health Sciences at the Justice Institute of BC (JIBC). In his role with Servier, he participates in the development of new drug submissions to Canadian and Provincial Authorities for the approval and coverage of medications for people in Canada and BC. Fostering support of government and other stakeholders is important to ensure good access to appropriate evidence-based medicines and care delivery that improve health outcomes. Within the Faculty of Pharmaceutical Sciences at UBC, Dr. Low is one of the founders of the Faculty based Pharmacists Clinic as well as helped to develop and lead the business case for the Pharmacists Clinic. He is also the Course Coordinator for the Pharmacy Management course for 4th year Student Pharmacists. In addition, he is also a Board Advisor with the GI Society and sits on the Medical Board of HealthChoicesFirst.com, a patient video education resource. Dr. Low has experience in a wide variety of health and administrative settings including direct patient care in the hospital and clinics, clinical and practice-based research, consultant in healthcare projects and clinical pharmaceutical consulting. 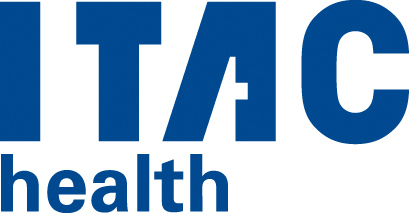 He has held positions such as Clinical Pharmacist, Clinical Specialist and Pharmacotherapeutic Specialist within teaching hospitals, as well as Senior Health Sciences Advisor and Medical Science Liaison in the research-based pharmaceutical companies (P&G Pharmaceuticals and Servier) and Chief Operating Officer at Network Healthcare. Alan is a Certified Clinical Densitometrist (CCD), the coauthor of the recently released “The Osteoporosis Book, 3rd Edition: Bone Health” and has authored numerous publications and articles in scientific and health journals and newsletters. Alan led the design, development, implementation and management of the Pharmacy Practice Model’s Initiative (PPMI) in Alberta as well as the design and implementation of the BC Medication Management Project (BCMMP), which are province-wide pharmacy demonstration projects funded by Provincial Ministries of Health. Alan has been an active member and sat on various committees (with the College of Pharmacists of BC, BC Pharmacy Association, Canadian Pharmacists Association, Canadian Society of Hospital Pharmacists, GI Society, etc). He has interests in the areas of, rheumatology, osteoporosis, gastroenterology, diabetes, and cardiology. Alan enjoys being involved in projects that improve health knowledge translation, healthcare delivery, medical health education and health outcomes research. He has been an invited speaker at local, national and international conferences presenting on a variety of healthcare and practice-based topics as well as research posters at conferences in North America. Erwin Malzer is the former Board Chair of the Interior Health Authority of BC. He is dedicated to the meaningful transformation of the healthcare delivery system in pursuit of improved patient care and overall system sustainability. In his 10 years serving IH he also Chaired the Audit & Finance and Governance Committees of the Board. He currently is Vice Chair of BCCSS (Provincial Shared Services to the health sector. He is a career management consultant and has consulted to the healthcare industry across Canada on a wide variety of mandates and technology implementations. He has mentored executive healthcare leaders, advised on organizational design and corporate structure, and contributed to organizational renewal and performance improvement. Previously based in Vancouver, he had major executive account and regional ERP business responsibilities for Western Canada as a Consulting Partner first with PwC Consulting and then with IBM . Prior to this he was Partner in Charge of the Manitoba consulting practice of Coopers & Lybrand (Winnipeg) and the founding and managing partner of Malzer & Associates Ltd. He has chaired or been a director of numerous corporate, professional and community organizations throughout Canada. He served on the Executive Board of the BC Institute of Corporate Directors (ICD) and has served as the national and provincial Board Chair of the Institute of Certified Management Consultants (CMC) and the Canadian Association of Management Consultants (CAMC). Mr. Malzer has two business degrees and is a Certified Corporate Director (ICD.D) as well as a Certified Management Consultant (CMC) and has been awarded the FCMC designation as a Fellow of the Institute. He has been Conference Moderator, Chair, and Advisory Board member of the annual Health Summit conference in Kelowna that brings together international technology & health care solution vendors, Government Ministers & executives, consultants and other industry professionals. He was a speaker & panelist for the U of A School of Public Health’s Fellowship program on Health Systems Improvement. Over 20 years of governance and operational security experience. Executive level security consulting, to include program/portfolio creation and management. Provided board level reporting, security strategy creation and implementation, and global business security integrations. Acting CISO and Director of Security for large corporations. Led large multi-project teams at the program level, with oversight of multiple simultaneous and complex implementations of technical security projects. Designed and implemented most aspects of corporate security programs. Assisted large organizations in defining CISO responsibilities and requirements in order to provide alignment of security programs to business operations. Consulting experience includes delivery of services to include large multi-project/multi-year programs. Provided executive advisory services in a variety of industries, to include retail, aerospace engineering, national/international banking, healthcare, manufacturing, logistics and transportation, federal/state organizations, and others. A wide range of regulatory experience includes PCI, SOX, FFIEC/FIDC, HIPAA, NERC CIP, and security framework knowledge extends to ISO/IEC 27001/27001, NIST, FISMA, OCTAVE and others. Program level services for customers, including advisement to Fortune 100 executives (CIO and CISO), creation of corporate security programs and strategies, risk program operational definitions and implementation, and delivery of security/privacy framework implementations. Provided all aspects of creating and implementing multi-project technical programs, from requirements gathering to shifting systems into operational SDLC maintenance cycles. Created large risk management frameworks for global enterprises, to include complex operations such as mergers, acquisitions, and divestitures. 21-year military veteran as a nuclear weapons technician, threat officer, OH-58/AH-1/UH-60 helicopter pilot and maintenance operations officer. Esteban Rubens serves as the Global Principal for Enterprise Imaging at Pure Storage, where he is responsible for Pure’s solutions, strategy, market development and thought leadership in that area of Healthcare. Esteban has almost 20 years of experience in the storage industry, and over 13 years of experience working in the healthcare technology sector. He held several roles at FUJIFILM Medical Systems, Sandial Systems, Platypus Technology, and other storage companies. Prior to joining Pure, Esteban was the National Director of Enterprise Architecture at FUJIFILM Medical Systems, a global leader in Enterprise Imaging (PACS, VNA, RIS, and 3D), where he was responsible for the complete technology infrastructure stack used to deploy those solutions. In that role he partnered with the most dynamic hardware and software vendors to offer fast and resilient architectures to a wide range of customers globally, ranging from small critical-access facilities and large IDNs to national healthcare authorities. Esteban has a Bachelor of Arts in Mathematics from Bard College, and a Master of Arts in Economics from Washington University in St. Louis. Amani Saini is the Founder and President of Adverse Drug Reaction Canada (https://adrcanada.org), a national organization which educates and raises awareness about adverse drug reactions (ADRs) and the need to implement of policies to prevent them. These policies include the need to use genomics in guiding the prescription of drugs, the need for genetic screening and the creation of a national database to monitor and record ADRs. In 2010, Amani’s then 19-year-old sister almost passed away from an ADR to a common over-the-counter ibuprofen drug given to her by a family physician. She didn’t think much about the ADR until 2015, when while randomly surfing the internet she came across an article that talked about gene variants and how certain variants can lead to diseases. She then decided to learn more about genomics and DNA sequencing by contacting and connecting with researchers and scientists both abroad and in BC. Amani gathered evidence which demonstrated that ADRs can be prevented and then developed a policy to apply to the Canadian health care system to prevent ADRs. For her policy work, she received the 2016 Canadian Science Policy Award of Excellence (under 35 category), which recognizes an individual who developed an innovative and compelling evidence-based policy that will make a positive difference for Canadians. In her role as Business Development Director with TELUS Health, Kathryn works closely with the healthcare community to transform healthcare delivery leveraging technologies, people and processes. Kathryn has focused on aligning TELUS’ managed service capabilities to support increased patient engagement, primary and community care advancements and greater collaboration across the care continuum. Louise Turner provides the vision and strategy at Innovation Boulevard as she leads the organization’s next phase of growth and development. Prior to becoming the CEO at Innovation Boulevard, Louise held a number of executive roles including President of the BC Premier’s Technology Council, Chief Operating Officer for the Pacific Health Innovation eXchange, and Chief Operating Officer at Canada West Health Innovation Council. She was the Director of Business Development at both Abatis Systems – acquired by Redback Networks in one of Canada’s largest private acquisitions – and Newbridge Networks – a multi-billion dollar company acquired by Alcatel. Louise is a sought after speaker on the topic of innovation and systems change – particularly in technology and healthcare. She is known for her creative approaches to problem solving and ability to build high performing teams. She completed the Leading High Performance Health Care Organizations program from Harvard Executive Education, and holds an MBA from Cranfield School of Business in the UK. Fluent in English, French, and German, Louise is on the board of directors for the Rick Hansen Foundation. Louise is also a Certified Executive Coach, private pilot, and pianist. Technology is bringing profound changes to the world around us. From personalized care to new infrastructure and complex data management, innovation within the healthcare sector is becoming increasingly important. How do we ensure we are at the forefront of these advancements? The new British Columbia-led Digital Technology Supercluster will encourage collaboration among the private sector, post-secondary institutions and research organizations resulting in new products and technologies, including precision health. With projects such as patient-centric care, tailored health therapies and secure health and genomics platforms, the Supercluster will reinforce Canada's leadership in precision health and build on our strengths. Panel A: Barriers and Successes to Digital Innovations in Healthcare: What Does It Take to Get Things Done? Recent technological developments in healthcare have improved the quality of life for patients and saved countless lives. Digital innovation has a huge impact on medical processes and the practices of healthcare professionals. With the increased use of electronic medical records, telehealth services, and mobile technologies, doctors and patients are seeing the benefits new medical technologies can provide. Technological progress is not without its challenges and pitfalls. We now have the capability, but how do we implement it in the most effective ways, keeping the best interest of the patient in mind? Keynote Address: Is Canadian Medicare Dying? A realistic review of the Canadian health care systems from ground level and a suggested pathway for improvement with a focus on the role of technology. Panel B: Health Analytics – Improved Access to Health Data is on the Way: How Can Digital Platforms Make the Most of It? Access to health records has greatly improved in recent years. Now that we have access, we must ask ourselves if we have the analytic capacity to use the data in ways that will benefit the healthcare system. What are we capable of doing with this data? What digital platforms can leverage this new access to data? And what questions can we now answer by analyzing this data? This panel will discuss recent progress in data access and the vast potential it has for the future. Health systems in the 21st century are faced with challenges that require innovative solutions for communication, data integration, and information sharing. The need for stable and reliable transactional and clinical systems must be balanced with the need to innovate as patient care delivery evolves from the current model to one that is increasingly decentralized, data and evidence derived, and consumer/patient focused. We will explore how exemplar health organizations have leveraged the combination of a unified patient record with an innovation platform to strategically to address their particular challenges. Artificial Intelligence (AI) is poised to revolutionize how healthcare is delivered. This panel will explore how AI is already affecting healthcare delivery, how much is hype vs reality, what is required to successfully implement AI, what the barriers are, and what the business case looks like. From there, the panel will consider potential risks, privacy, legal and other concerns, before finally touching on workforce and societal implications. Infoway has developed a strategy to improve access to care and access to health information for all Canadians, especially those who are most vulnerable and have the greatest need. Over the next four years, Infoway’s Driving Access to Care strategy will focus on large, multi-jurisdictional or pan-Canadian digital health projects to empower Canadians and strengthen their care teams. Join Michael Green, President and CEO of Canada Health Infoway, as he describes the new strategy and the important role that partnerships will play in driving its success. Digital technologies promise to transform healthcare by allowing new care delivery models that transcend time, distance and presence. The forces powering this transformation are exponential: artificial intelligence, sensors, IoT, genomics, blockchain, 5G, etc., and yet the pace of change in health feels frustratingly slow. In my talk, I will present an approach to understanding the future, by considering both the forces of disruption and other slower moving, but all too real forces inherent to healthcare. I will share many of the insights that we have had through our FIRSTEP sessions with over 50 digital health start-ups and multiple enterprise partners, and hopefully to spark the audience to better understand how they see the world in 2018. It was 2003 when 3 billion base pairs that make up the human genome was sequenced. There is no “big data” bigger than the human genome of every individual in a population. Pharmacogenomics is advancing at a rapid pace and will require the collaboration of many resources to interpret this massive knowledge and apply it to improve health, treat conditions and prevent illness. This panel will discuss the current reality of how genomics is being used, future prospects and what supporting digital platforms are needed. The ideal healthcare system is one where people can get timely access to high quality, affordable care while promoting the innovation of new tests and treatments to ensure future developments in the industry. While technology has allowed us to streamline information flow, improve outcomes and reduce costs, we must always ensure that a connected patient that stays informed and well supported by health professionals and the health system is the primary focus. No matter what progress innovation helps to deliver, it must be accessible and functional for the patient. Join representatives from stakeholder organizations as they examine the possibilities of an ideal healthcare system in the digital age. 18th Annual International Healthcare Summit is proudly sponsored by the following companies. If you would like to sponsor this event, please download the Sponsorship Brochure for more information. If booking a room by phone please quote “Reboot 18th Annual Healthcare Summit”. Please note that this room block ends June 23, 2018.